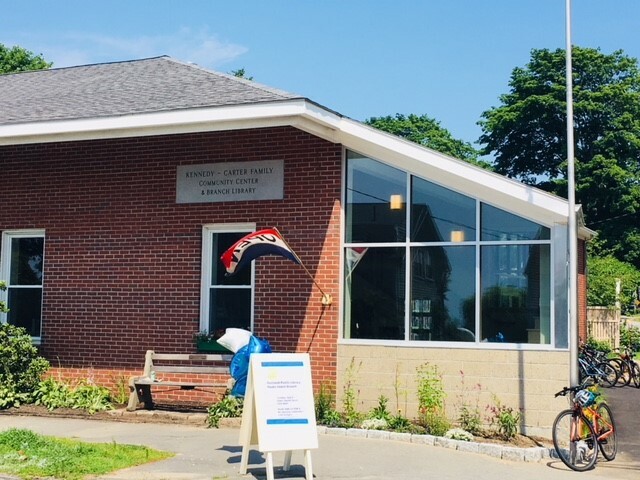 We are thrilled to be back in our wonderful renovated home at 129 Island Ave, inside the newly named Kennedy-Carter Family Community Center & Branch Library. We had a fabulous celebration with the community this afternoon and are so grateful to the island community for their enthusiasm, support, and patience as we transformed our space. Priscilla and Rose Ann are there to welcome you! We are excited to report that the Peaks Branch will begin moving back to our newly renovated space when we close at 2:00 pm on Friday, June 22. We thank our friends at Peaks Island Elementary School (PIES) for making us feel so welcome in our temporary location. We will reopen in our beautiful new space for regular open hours at 2:00 pm on Tuesday, July 3. The Peaks branch will be closed during the move process. If you have a title on hold at the Library, Friday, June 22 will be the last day to pick it up until we re-open. Any items checked out at Peaks with a due date between June 23 and July 3 will automatically have their due dates extended to July 10. The City will share their own timeline for moving Recreation Department events back into the renovated building. On our library re-opening day of Tuesday, July 3, we invite all to gather at the renovated Kennedy-Carter Family Community Center & Branch Library for a family-friendly celebration from 4:30-6:30pm. 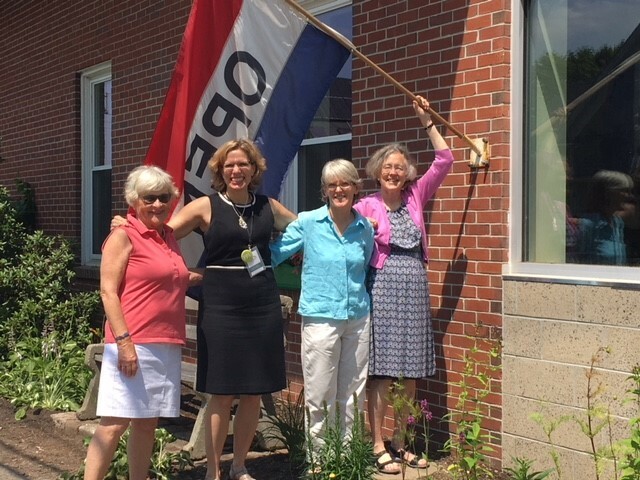 This will be a wonderful chance for the Library, the City and the Recreation Department, New Vision Campaign donors, and the entire Peaks Island community to come together to celebrate the successful collaborative effort that has transformed the library and community room to serve generations of islanders to come. We hope to see you there! 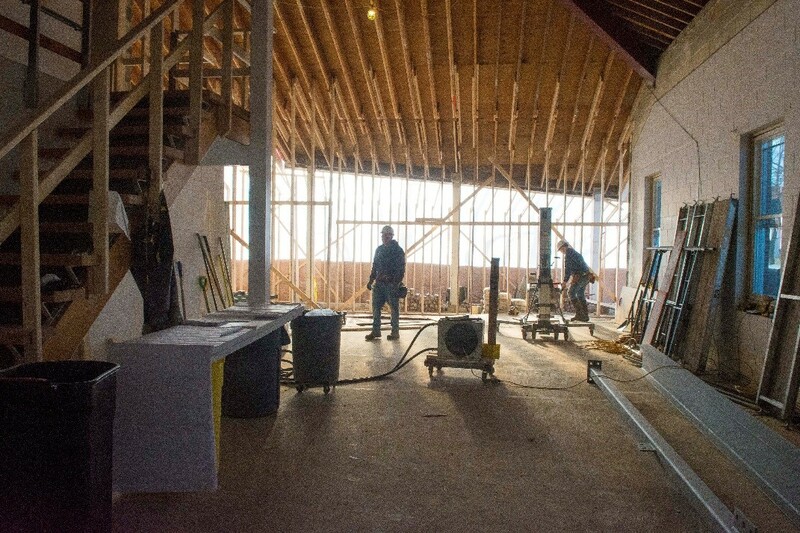 It is not too late to make a gift to the renovation! Make a secure gift online to the New Vision Campaign, and join your island neighbors in support of this transformative project. Gifts of all sizes make a difference. In a few weeks the Peaks Island Branch Library and Portland Recreation will begin to move back into the beautifully renovated facility. While we wait for the go-ahead, we wanted to share a bit about the building’s new name: The Kennedy-Carter Family Community Center & Branch Library. As many islanders know, the Peaks Island Community Center Room was named in honor of Douglas E. MacVane by City Council in October 2008. We have preserved the original signs and will reinstall them in the community room. Similarly, we will rehang the memorial plaque for Darren Lavigne, Member of Peaks Island Call Dept. Engine 12, who was lost at sea in 1982. 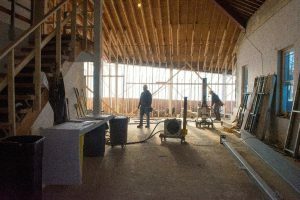 The New Vision Campaign raised funds for the renovation of the building as a whole, including the lobby, MacVane Community Center Room, and the Peaks Island Branch Library. Kevin Carter made a major gift to the renovation project to honor his family and their history on Peaks Island and with Portland Recreation. In recognition of this gift, the City Council approved naming the building for the Kennedy-Carter family. The Kennedys, Kevin’s grandparents, bought the large red house on Oak Avenue and his great-aunt purchased the small cottage next to the Lion’s Club on Oak Avenue in 1938. Kevin’s grandmother Dorothea (Dot) Kennedy taught art classes for the City’s Recreation Department on Peaks Island. Kevin’s mother, Cynthia Kennedy Carter, started the senior adult recreation program for the City of Portland before she passed away in July 1984. Her husband, Raymond Carter, carried on her work for the next 30 years until his retirement a few years ago. Kevin and his brother, Greg, grew up in Portland, attended Portland Public Schools and were involved in the City’s Recreation program. Both worked for the Recreation Department each summer while they were in college. We are deeply grateful to Kevin and his family for their commitment to this project. During the project’s planning phase, City staff reached out to the MacVane family to talk about the ongoing recognition of the MacVane Community Center Room and to let them know about the generous gift from the Carter Family and the prospective naming of the building, about which they expressed their support. We appreciate the MacVane family’s ongoing commitment to the island community, and we want to assure anyone who might have wondered that the Community Center room will still hold the name of Douglas E. MacVane. We look forward to celebrating the building reopening with the Kennedy-Carter families, with the MacVanes, and with the hundreds of New Vision Campaign donors, dedicated islanders, and supporters who made this project possible. Please remember to save the late afternoon of Tuesday, July 3 – we look forward to seeing everyone! It looks like spring is truly here, and with it the imminent opening of the renovated Community Center & Branch Library. The project is on schedule for a July 3 opening celebration, and it will be wonderful for everyone to enjoy the beautiful new space. 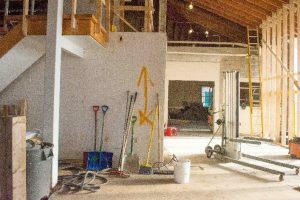 After the Library and the Recreation Department do a final walk-through inspection with the contractor, the City of Portland will take possession of the building and the Library and Recreation Department can begin to move back in and get ready for opening day. As soon as there is a date set for closing the Library’s temporary location at the Peaks Island Elementary School, it will be publicized. We plan to be closed for approximately two weeks as we shift collections. Then, we can have a “soft launch” mid-June as we all settle into the new space. The Recreation Department will announce soon when they will recommence programming in the new Community Room, and when the lobby will be reopened for access to the public restrooms. Be sure to save the late afternoon of Tuesday, July 3 for the grand opening celebration. The renovation project is proceeding! As we indicated in our most recent update, we completed the bid process this summer. We have now finalized the budget and are pleased to announce that Great Falls Construction is our selected contractor for this project. While it helped to push construction to the fall (instead of summer), unfortunately, all of the bids we received were significantly higher than our funding level. We have worked well with Great Falls to bring the project closer to our budget. 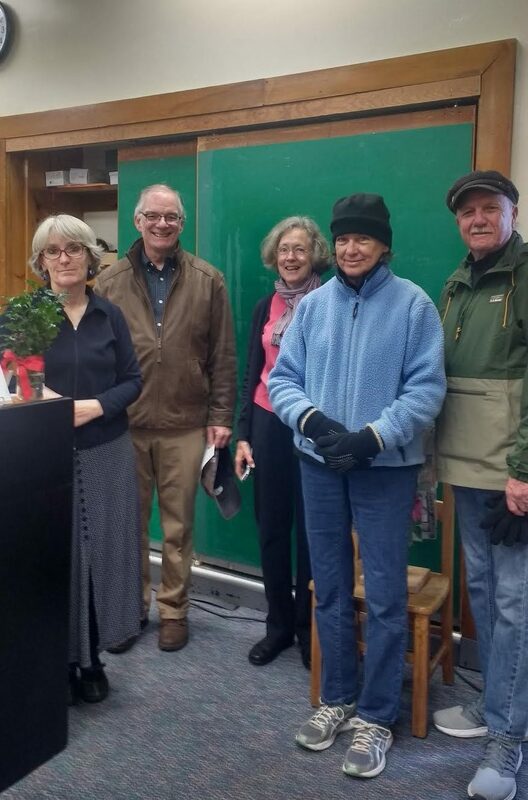 Also, both the City and the Library have contributed additional funds, as have the Friends of Peaks Island Branch Library with a gift of $43,000. 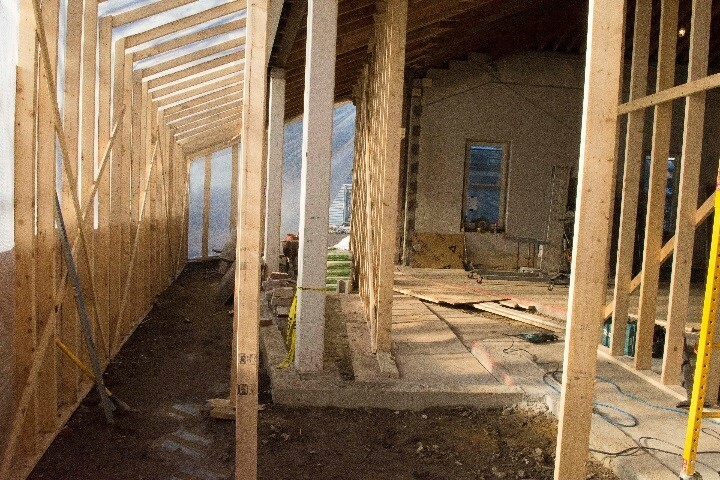 We now have funds in hand to proceed with construction in September, as planned. 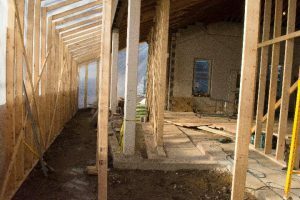 However, we still have a gap to close of an additional $148,000 needed for furnishings, finishes, and site work to complete the project as envisioned. We have begun submitting grant requests that we hope will fill some of the gap. We are now reopening our New Vision Campaign to raise what we still need, thanks to the dedication of the Campaign’s island leadership. We are also grateful for the ongoing generosity of the Kennedy-Carter family, who have offered a $25,000 challenge match for all new or increased gifts. For those interested in participating, please make gifts to Portland Public Library and note “New Vision Campaign” in the memo line of your check. Meanwhile, the Branch Library will close on Thursday, September 7. 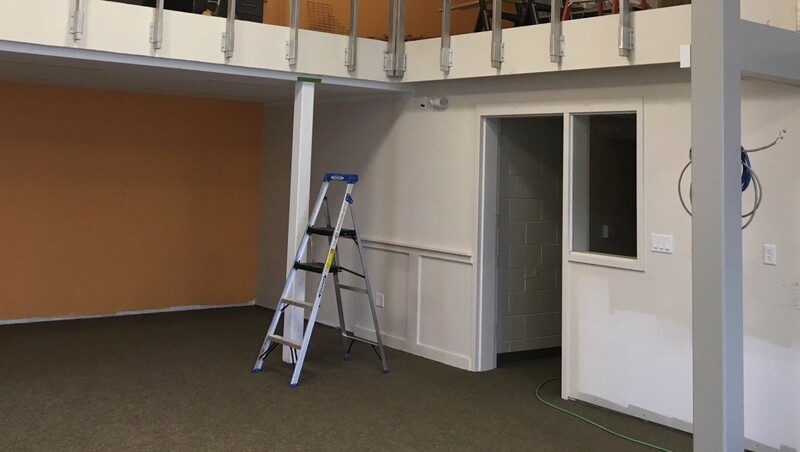 We look forward to seeing you in the Library’s temporary space at the Peaks Island Elementary School as soon as we’re set up, two to three weeks later. The City’s Recreation programming will begin at St. Christopher’s Church Community Room on Monday, September 18. Thank you to all who have brought us this far. It continues to amaze us how we work together through each challenge and, while this is a big one, we are eager to get to our goal. We thank you for the shared enthusiasm and everyone’s efforts to keep the New Vision in sight. The renovation of the Peaks Island Branch Library and community room is moving forward. All permits are in hand, and the City is queuing the project up for bids in May. We hope bids will be consistent with our budget and our construction timeline to start in the fall. We are doing all we can to keep the process moving full-steam ahead. The Library and Portland Public Schools are finalizing details to move the library into the Peaks Island Elementary School during construction. We will cordon off a separate entrance, classroom, and restroom for use as our temporary home for collections and small-scale programming. We are so grateful for our ongoing partnership with Portland Public Schools, and this exciting collaboration with Renee Bourgione-Serio and the school. Please take a look at the finishes boards in the Community Center lobby. The Renovation Planning Committee – islanders, City staff, and Library staff – selected quality finishes that are durable, easy to clean, eco-friendly, and reasonably priced. Hopefully the boards will help you envision the future space. As always, many thanks to those who continue to support this effort with gifts and pledge payments to the New Vision Campaign! If you still wish to make a New Vision pledge payment or new gift to the project, you can do so securely online. Once you click the link, choose “In Celebration” and enter “New Vision Campaign” in the text box. Thank you for your support of this exciting project!